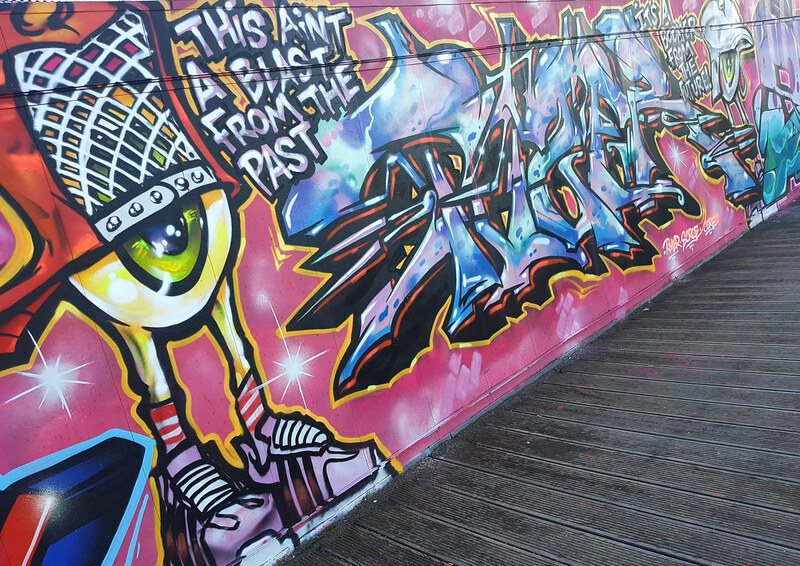 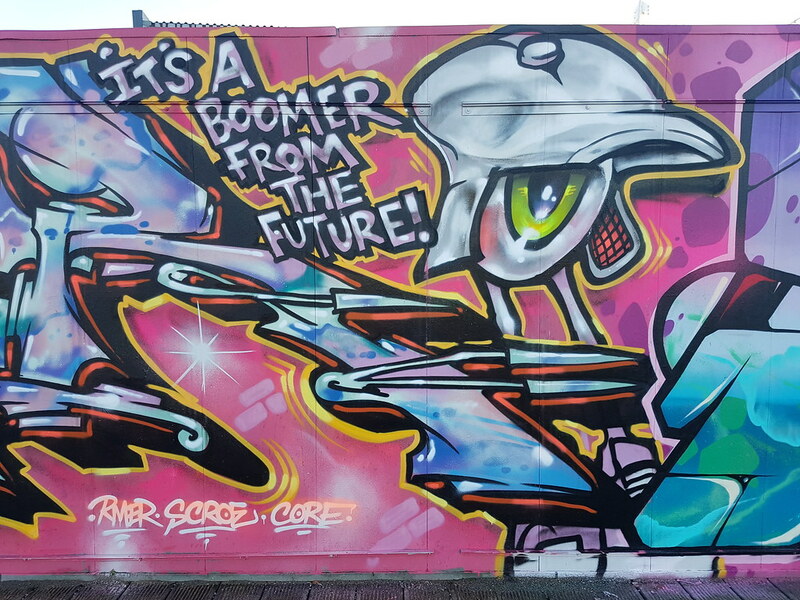 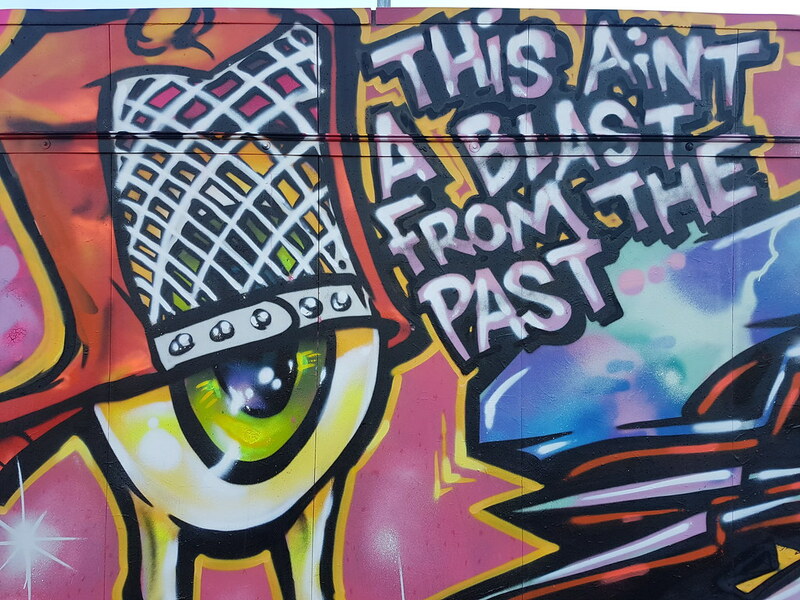 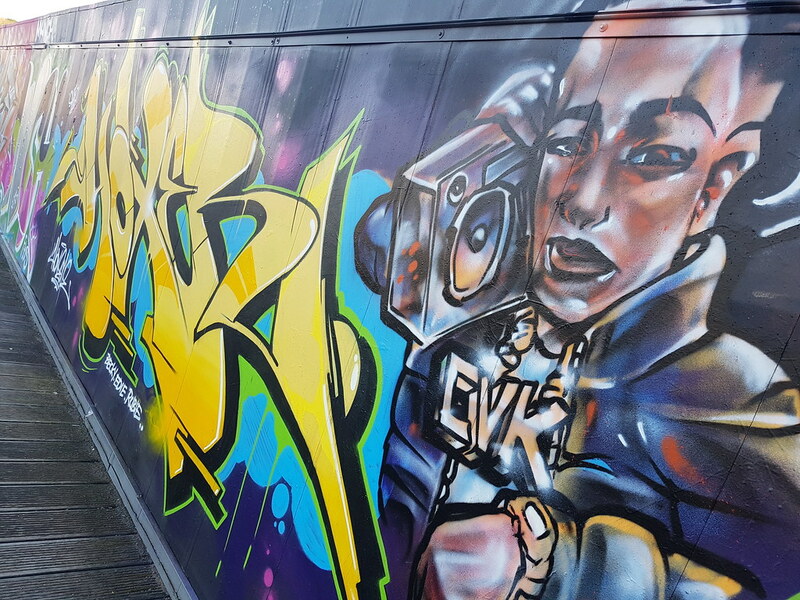 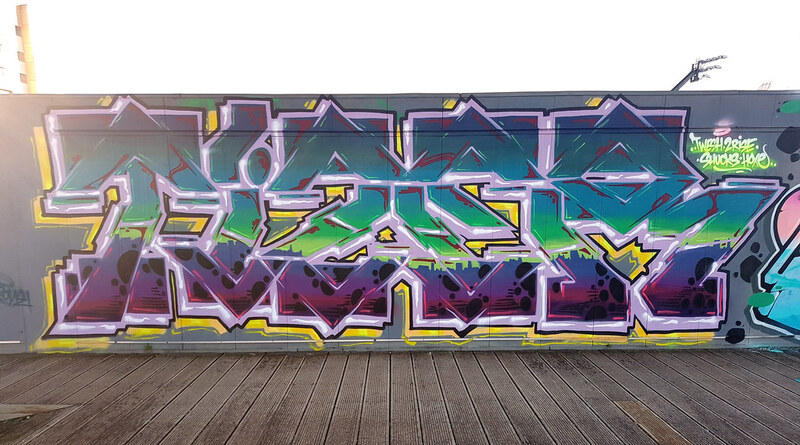 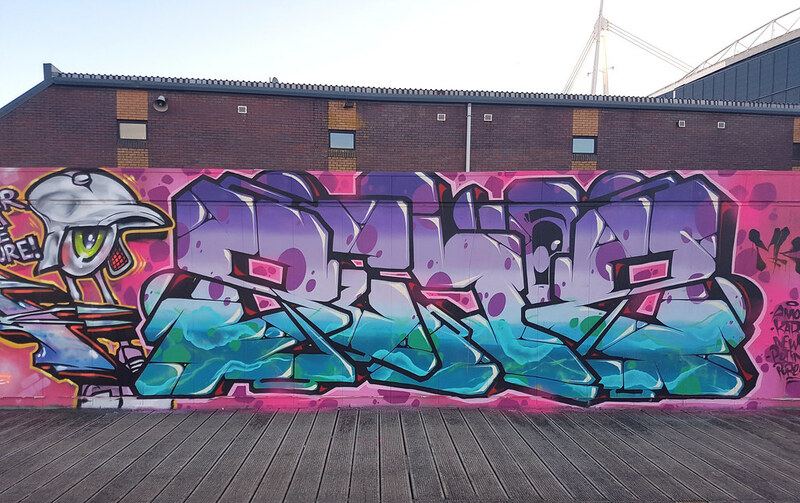 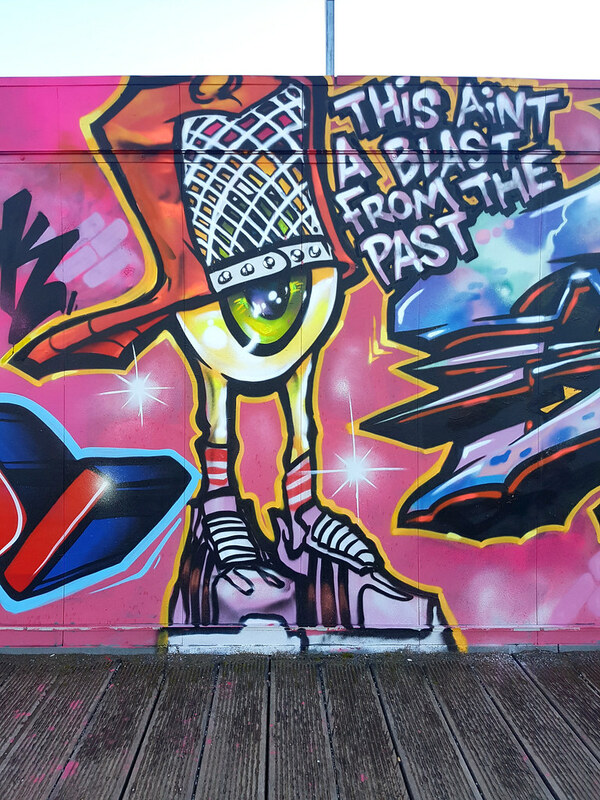 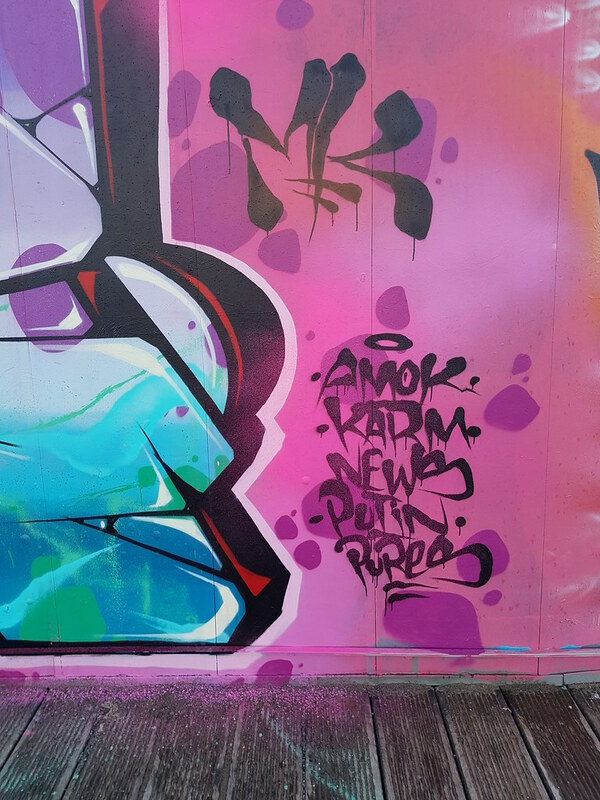 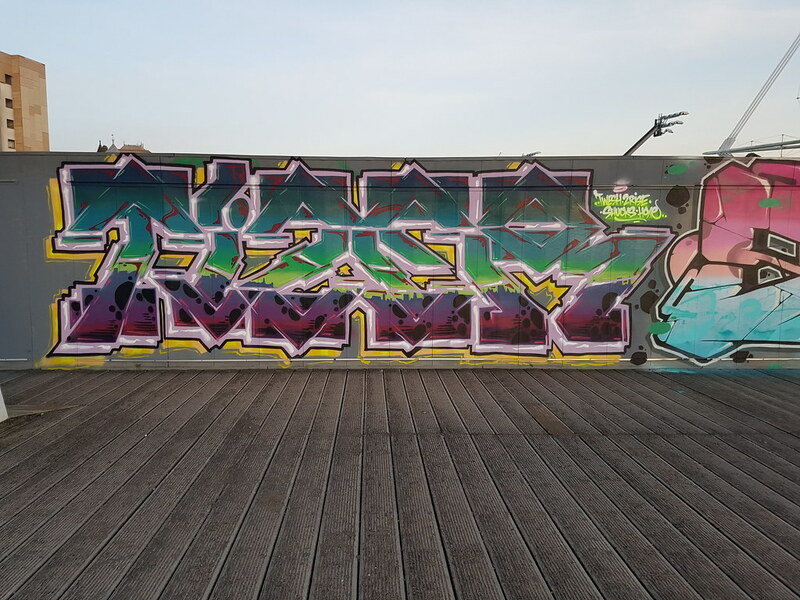 As a regular visitor to the streets of Cardiff, London based writer Tizer has joined forces with a host of local talent for his latest paint along the walls of the Millennium Walkway. 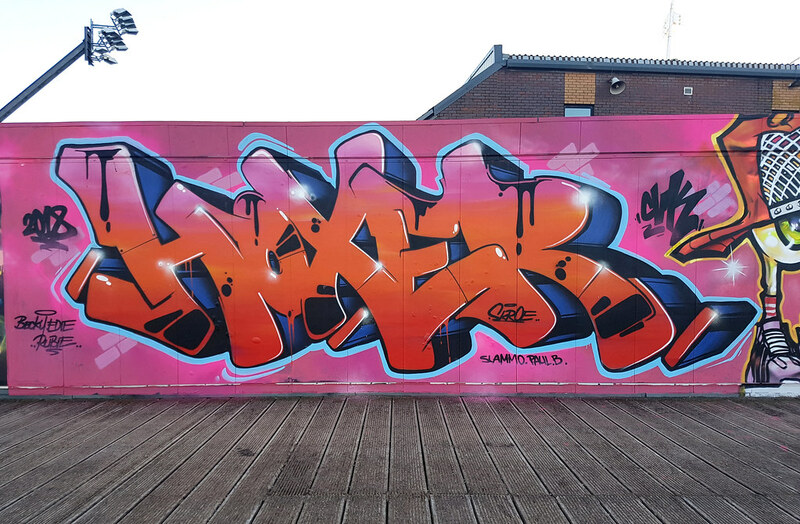 This predominently pink piece really stands out thanks to it’s zingy colour palette and strong characters from everyone. 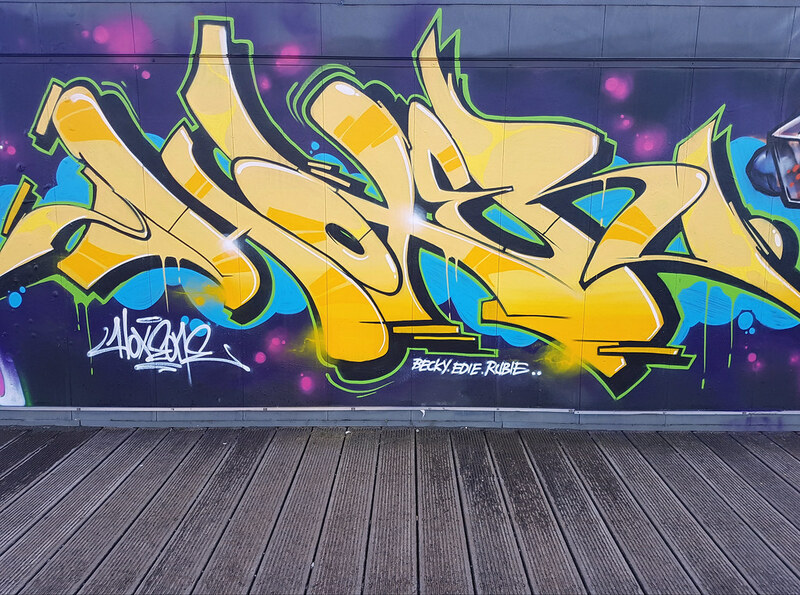 Either side of this was more great work from Hoxe, News and Somes all following a similar colour scheme featuring 3d lettering, gradients and colour effects. 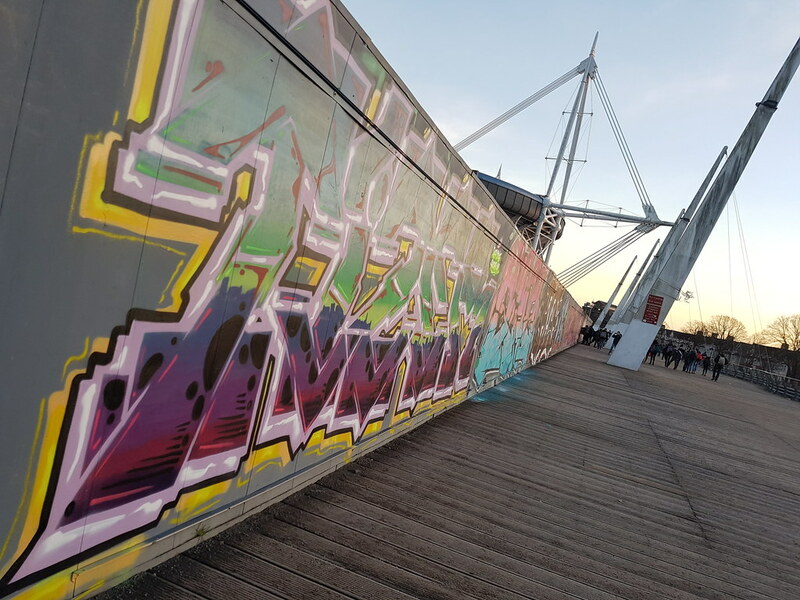 The long walkway running alongside the River Taff hosts a wide range of street art and graffiti and further along is some more work from Tizer and friends too. 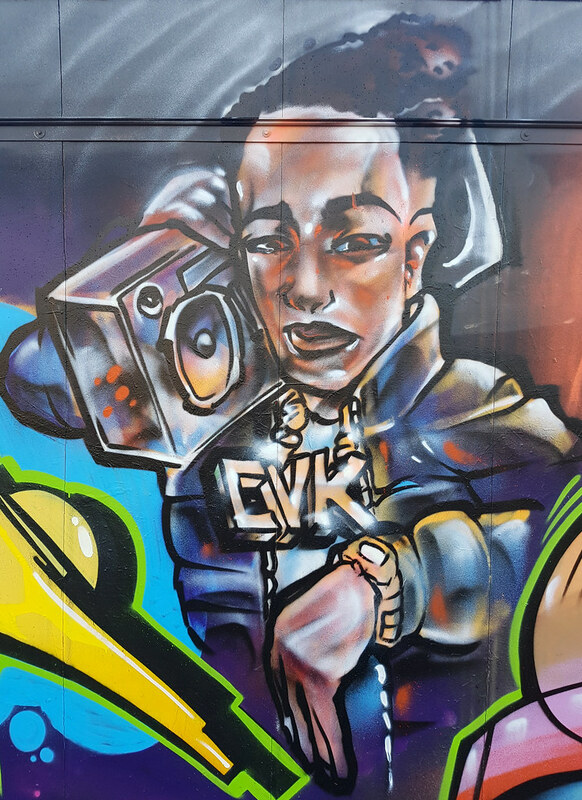 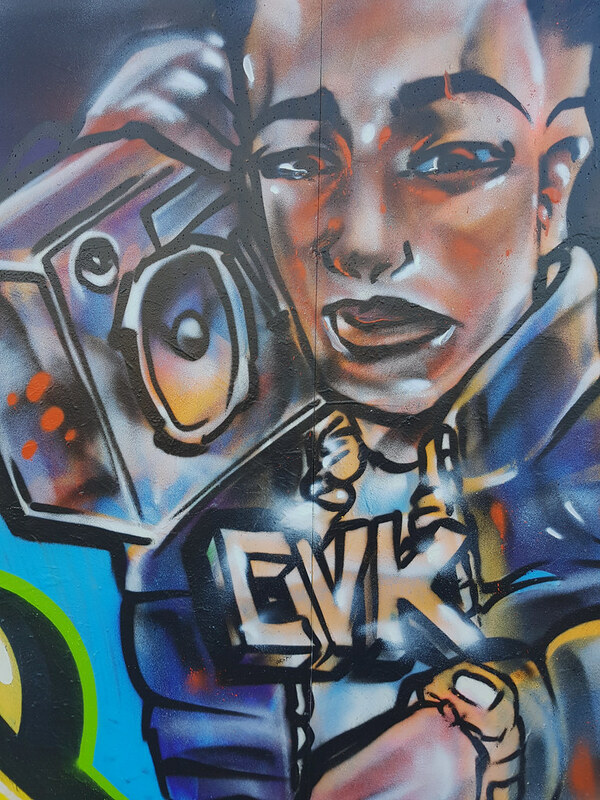 Painting as part of the CVK crew Tizer’s B-boy stands proud sporting a ghetto blaster and some bling. 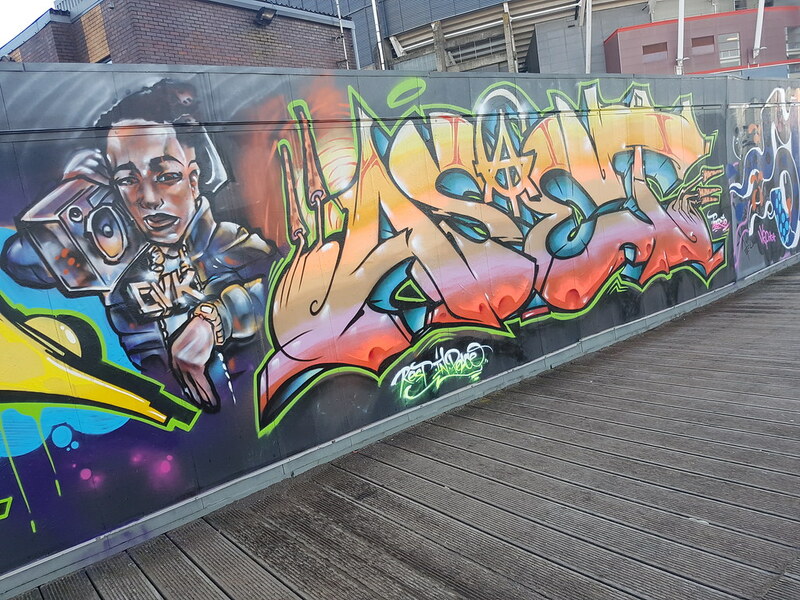 Complete with some wildstyle work from Hoxe in bright yellow to the left. 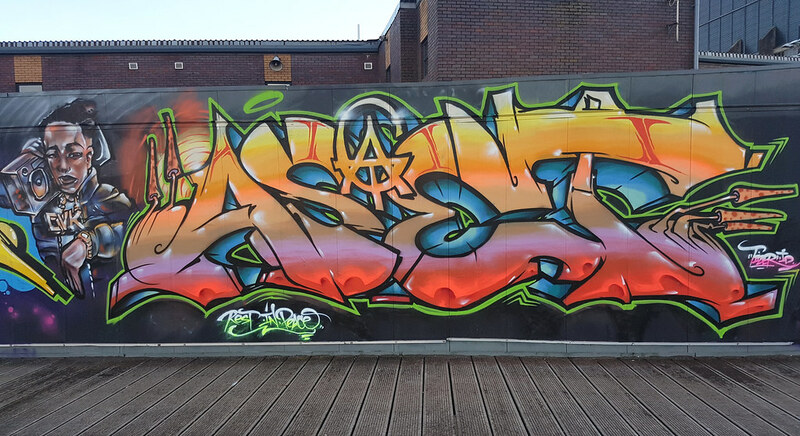 And to the right Tizer has painted a tribute to the late Aset whom was a writer from the ATG clan in London. 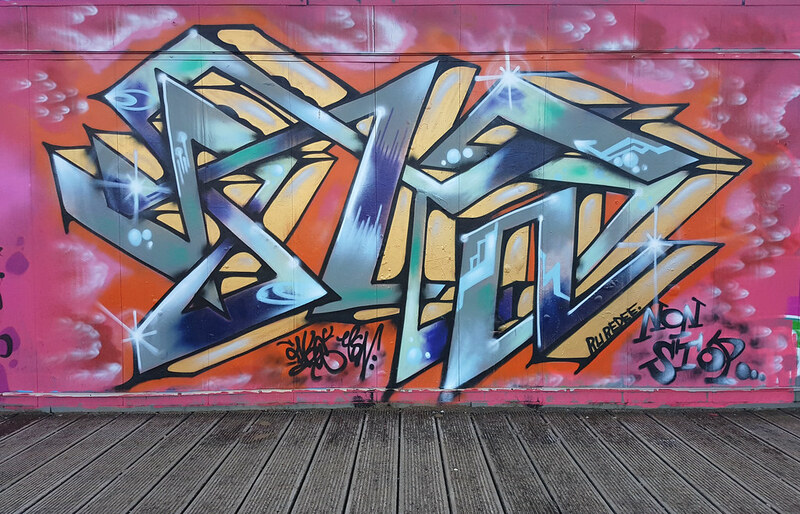 Tizer also visited around Christmas time and adorned the walls with even more of his talents! 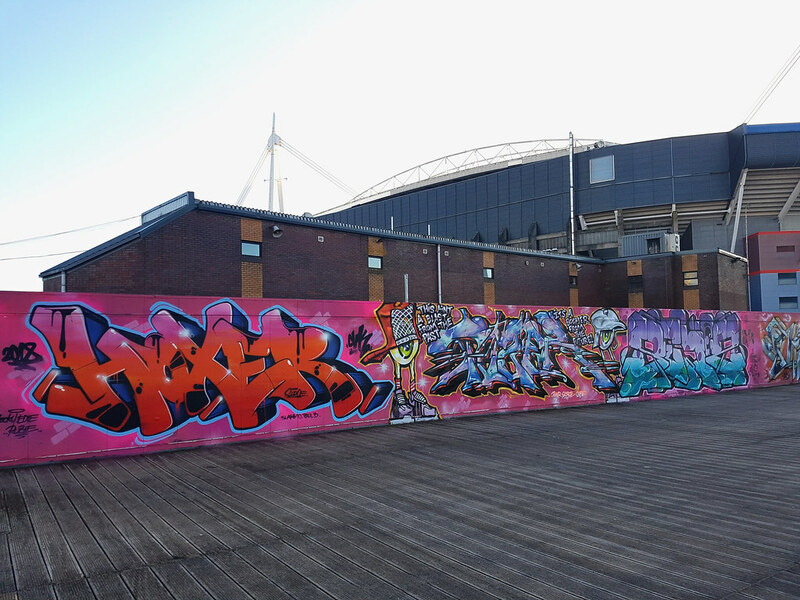 Great to have such a talented writer continually visit Cardiff and leave his mark on the city – definatley not a blast from the past!